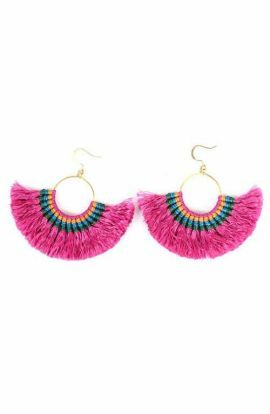 BEST SELLERS There are 42 products. 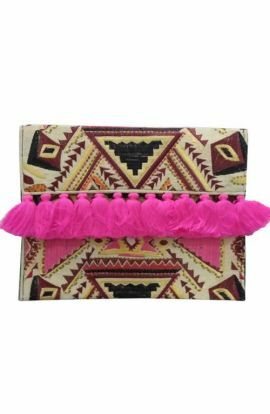 A cute pair of pink bohemian tassel earrings 3.5"
Gorgeous bohemian crossbody bag handmade in Thailand. 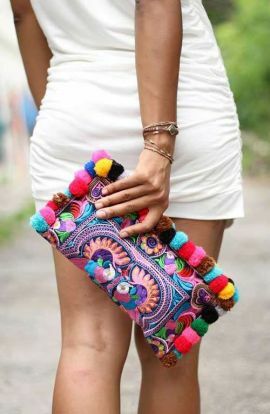 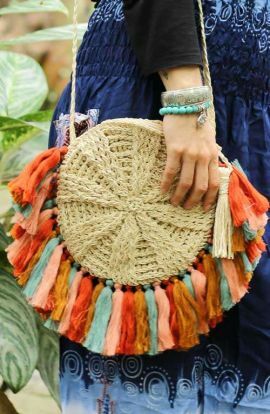 This boho bag with pom poms is the perfect shoulder bag for everyday use. 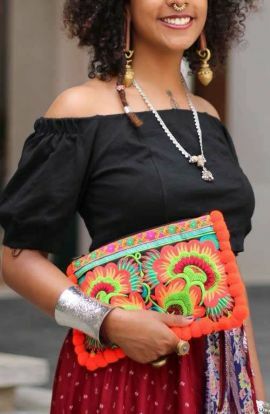 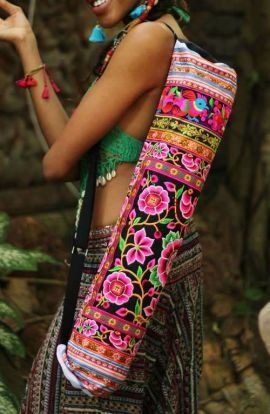 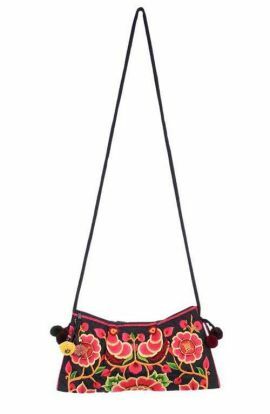 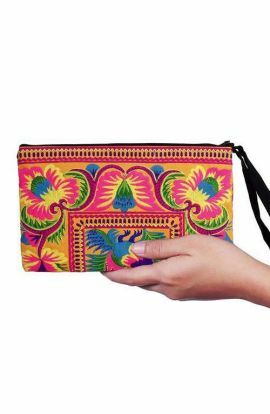 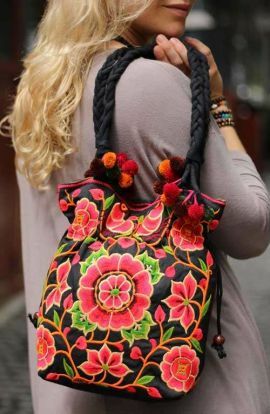 Approx: Length - 11"Height - 7"Strap - 44"
If gorgeous floral boho bags with floral prints make you swoon, then you will fall in love with this beautiful bohemian tote bag with Hmong embroidered textile. 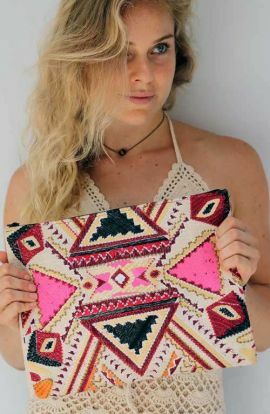 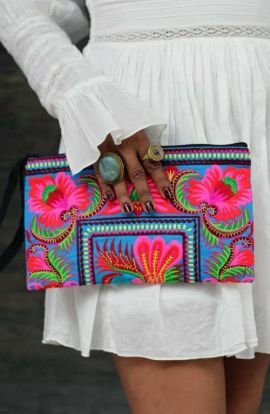 This boho bag is ethically handmade in Thailand. 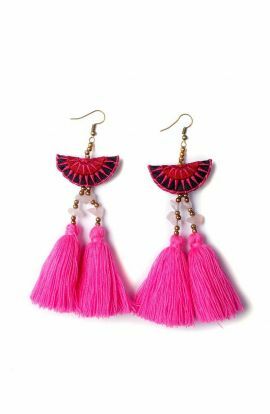 Length - 14" Height - 14"Pom Pom Straps - 24"
Cute pink hoop tassel earrings handmade with love in Northern Thailand. 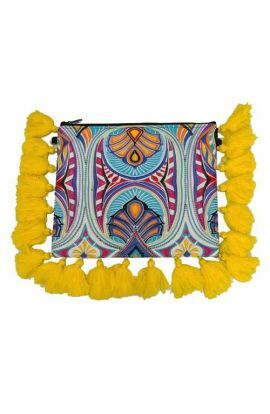 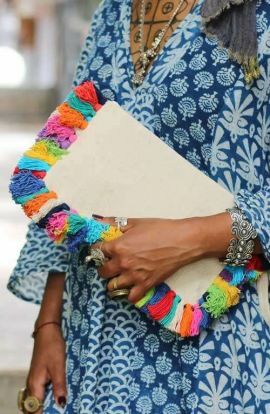 Height 2.8"
A beautiful handmade fringe bag with Indian inspired textile and yellow tassels. 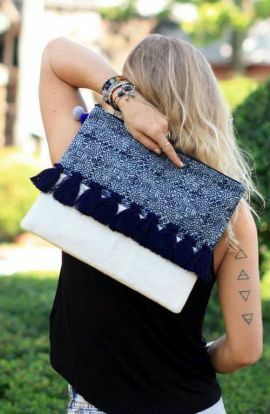 This cross body bag with removable strap can be used as a clutch purse also. 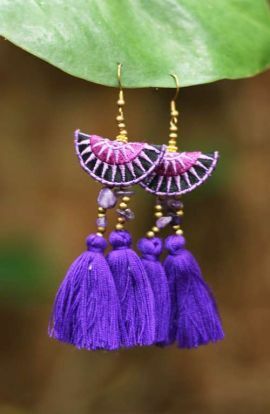 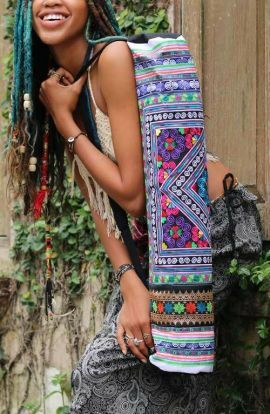 Length - 11"Width - 9"Removable Black Cotton Strap - 50"
Adorable sophia double tassel purple earrings handmade in Thailand Height 3.5"
A gorgeous boho gypsy style maxi elephant print skirt Estimated measurements. 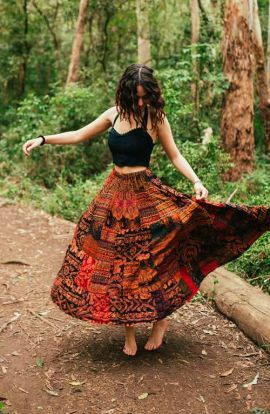 Waist 21"-40"Length 31 -33"